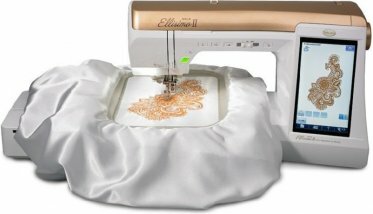 Take a creative journey into luxury with the Baby Lock Ellisimo Gold II embroidery and sewing machine. This is the Baby Lock machine with the most features powered by Baby Lock IQ Technology™. That means you get quick auto-adjustments for hassle-free embroidery.